Get off the couch kids! It's winter and the conditions are outstanding. Here is what's happening on the slopes near you this weekend. How about a romantic chairlift ride at your favorite resort? Or soft powder turns? Halley O'Brien brings us Valentine's Day Pro Tips and the latest conditions, events and happening all across the country in this week's Snapshot. Halley O'Brien dishes out all that's happening on the slopes across the country in this week's powdery SnoCountry Snapshot. Halley O'Brien dishes out the latest conditions, events and activities for the three-day Dr. Martin Luther King Holiday Weekend. 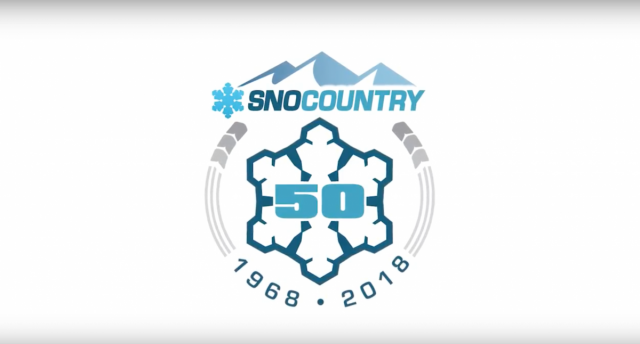 Halley O'Brien and the SnapShot Team enjoy a perfect blue sky day, and bring you the latest conditions, events and happenings from resorts across the country. SnoCountry Snapshot: Kick Off The New Year With More Skiing! What is your New Year's Resolution? How about skiing and riding more! Halley O'Brien brings us this week's SnoCountry Snapshot from Sugarloaf Mountain, home to Olympic Champion Seth Wescott. Plus, the latest snow conditions from across the U.S.
Halley tries her hand at making snow in this week's Snapshot, while catching up on the latest snow conditions, events and deals.